This entry was posted on October 11, 2017 at 1:23 am and is filed under anomalies, anthropomorphic, cryptozoology, paranormal, speculation, unexplained, urban legends. You can subscribe via RSS 2.0 feed to this post's comments. The blue flame and superhuman agility sound suspiciously similar to the weaponry used–and prowess demonstrated by–one of those extra-terrestrial Predators from 20th Century Fox. 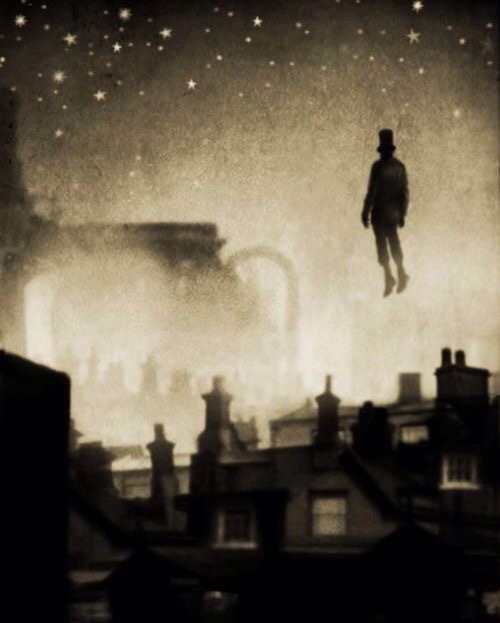 Could Spring-heel Jack have been a real-life alien operating in Victorian London? *A would-be superstarlet who tried to pass herself off as a feral girl raised by kangaroos! Or maybe in keeping with a Steampunk theme, Spring-Heeled Jack was really some kind of clockwork assassin set loose upon an unsuspecting Victorian London by a slighted mad genius known to Scotland Yard only as, “The Toymaker!” Will the combined genius of Sherlock Holmes and H.G. Wells be enough to stop this fiend? The fate of fair England hangs in the balance! Who knows? He might even have been the villainous great-grandfather of the much-more heroic Coil Man (of Impossibles fame). Perhaps Spring-Heeled Jack was a mutant member of the Royal family who occasionally escaped, a Prince Albert no longer in the can! Except, of course, during the World Wars when they voluntarily unleashed him to serve on the battle front as—Bum-bum-BUM–Union Jack!